Hi, my name is Amanda and I’m the kind of person that stays home on a Friday night and makes DIY dog toys. I’m also already contemplating Halloween costumes for all my dogs. Their Halloween picture from last year is still one of my favorites I’ve ever taken and this year’s needs to be even better. I’m thinking about a theme this year. Any ideas? 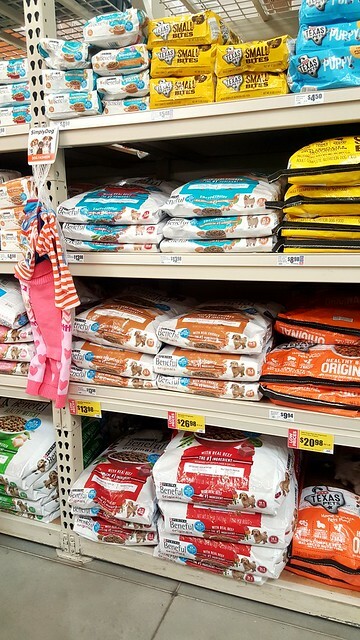 I ran into HEB the other day for a new bag of my pups’ favorite food: Purina Beneful IncrediBites with Real Beef. 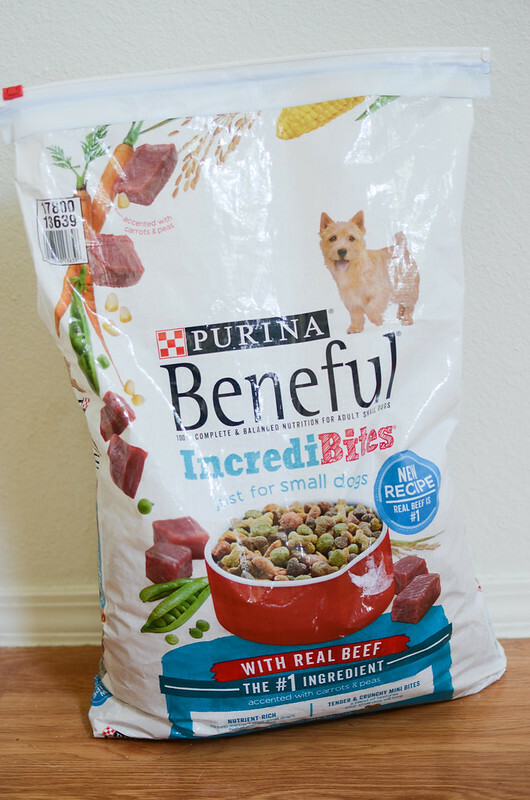 My dogs have been eating Purina Beneful IncrediBites for years but Purina recently reformulated it so that it’s main ingredient is meat. 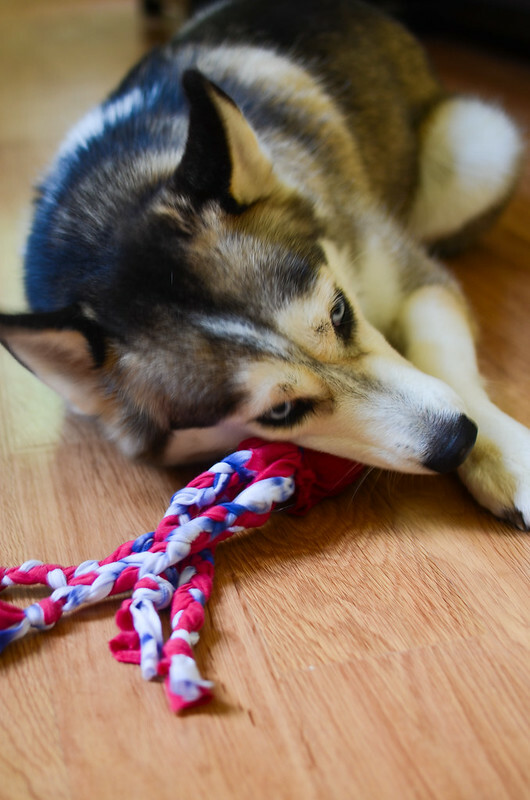 The reformulation is directly based on pet owners feedback and is created for us pet owners who demand quality familiar ingredients in their dog’s food. Also, there’s no added sugar in this new formula! But the food still has the same great taste and texture that dogs already love. My dogs are all important and unique members of the family and I think it’s really important to give them nutritious food. And I feel really good about the Purina Beneful IncrediBites reformulation. Clementine’s 5 now. Can you believe that?! Do you remember when we got her?! Before we even had a house in Colorado?! But she’s 5! Crazy, right? I feel like it’s extra important as she’s aging to make sure she gets healthy food ever day. Anyway, back to the toys I made on a Friday night while binge-watching season 5 of New Girl. 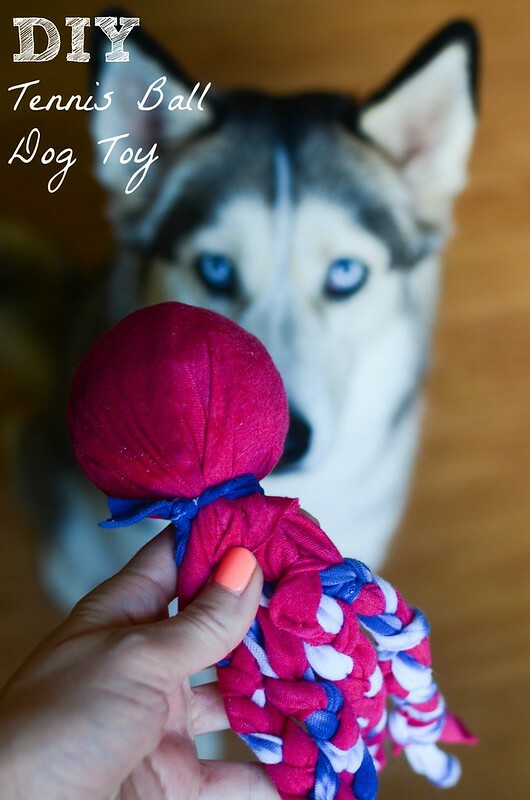 The easiest toy you can make! Find a couple shirts (or just 1 if you want it to be all one color) that you don’t wear anymore. Cut 2 wide strips (I’d say 8 to 10 inches – large enough to wrap around the tennis ball) and place the tennis ball in the center of both strips. 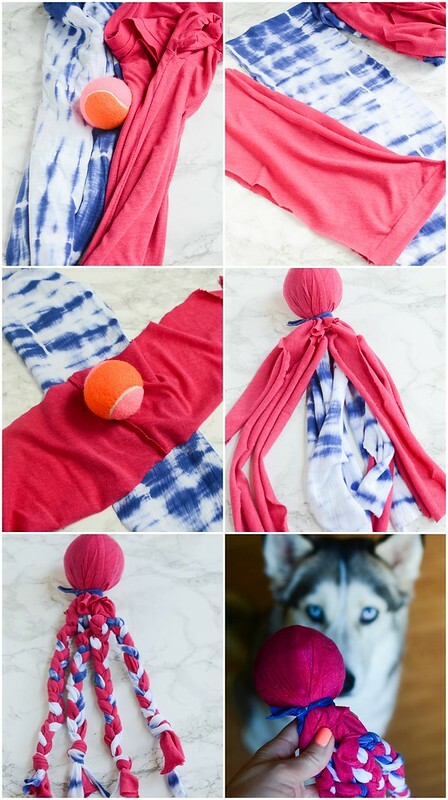 Wrap them around the ball and secure with a thin piece from one of the shirts. Once the ball is secure, you can leave it as is or cut the strips into 3 small strips and braid them. 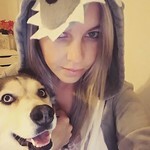 My husky is the worst about destroying tennis balls (and all other toys!) so I’m hoping having a ball inside this t-shirt toy will keep that from happening. Plus, I’ve made t-shirt toys before for her and they are pretty indestructible. Much better than most toys you find at the store. 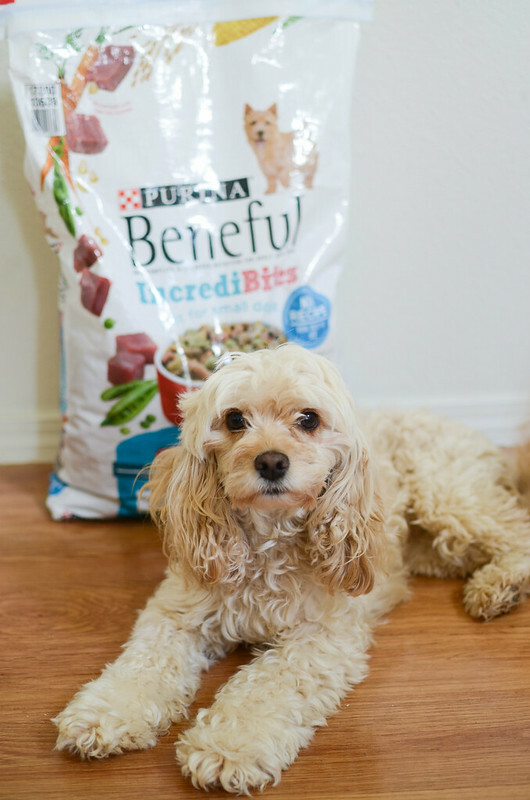 If you wanna give the new Purina Beneful IncrediBites formula a try, be sure to sign up for a free sample here. And be sure to check out these helpful tips and tricks for transitioning your dog to a new kind of food. One Response to "DIY Tennis Ball Dog Toy"